This entry was posted on April 13, 2011 at 10:31 am and is filed under architecture, cities, design, Theater Bowl with tags Paolo Soleri Amphitheater Santa Fe Indian School Institute for American Indian Arts. You can follow any responses to this entry through the RSS 2.0 feed. You can leave a response, or trackback from your own site. 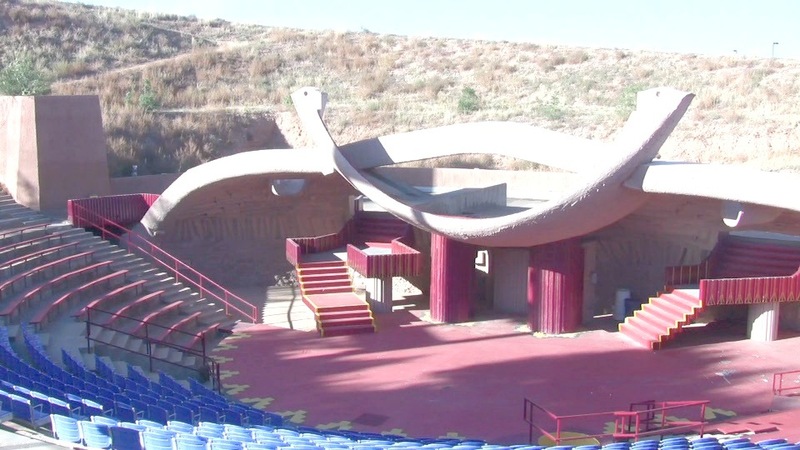 As a former Santa Fe citizen, who also taught at the College of Santa Fe and the Institute of American Indian Arts, I became familar with the Paolo Soleri Amphitheater, and also participated in theater/dance work at this remarkable site. The amphitheater is more than a conventional “land mark” it also fields a creative milieu and a dream of the past within its confines. In short, Paolo Soleri is a living museum of what Santa Fe is all about. I beg that nothing happens to this theatre as long as Paolo is still living. Unless there is eminent danger that this theatre may possess, please leave it standing for all eternity. I have not seen it personally but from the pictures and knowing Paolo and an alumni of Arcosanti, I believe in this man and his work and feel it should then be treated as a work of art and not be demolished.